Eilat Apartments Israel. For swimming, best head to Eilat where you’ll be able to windsurf, waterski, sail and party. Situated 6 km from Underwater Observatory Marine Park in Eilat, this apartment features a balcony. The air-conditioned unit is 1.3 km from Eilat Promenade. Featuring an outdoor swimming pool, Thai Villa Eilat enjoys a quiet location in Eilat. It offers suites with a private terrace and free Wi-Fi access. Located in Eilat, Royal Park Eilat offers apartments in a residential complex featuring a garden, seasonal outdoor pool, and sun terrace. This property is 1 km from Kings City. Lev Eilat Apartments 2 offers accommodation in Eilat, 6 km from Underwater Observatory Marine Park. The apartment is 1.3 km from Eilat Promenade. Royal Park – Odelia Studio Room offers accommodation in Eilat, 1 km from Kings City and 7 km from Underwater Observatory Marine Park. The property is set in a complex with a tree-filled garden. For an extraordinary diving experience, visit Caesarea, where you can dive the ruins of Herod’s city. Eilat is the other big nightlife centre – it is just a non-stop carnival.Off Eilat you can see the fabulous Red Sea coral reefs and the Hai-Bar Arava Biblical Wildlife Reserve. 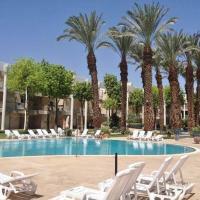 Take A Break Holidays takeabreakholiday, Eilat Apartments Accommodation.